A definitive guide to frozen desserts offers tips and techniques for formulating recipes for ice creams, gelato, sorbets, and sherbets and includes recipes for creating two hundred savory items. It is essential for any serious pastry chef to have a comprehensive knowledge of frozen dessert production, and Frozen Desserts provides all the basic information a pastry professional needs. Each recipe chapter covers both classic and modern small-batch production techniques, basic formulas, and both basic and advanced base recipes. The final chapter, "Finished Items", makes use of these base recipes and shows readers how to produce, plate, garnish, and serve small desserts, plated desserts, frozen cakes, and even frozen accompaniments to savory courses. Recipes are illustrated throughout by full-color beauty photographs. An instructor's manual and companion website are also available for classroom use. This book is amazing. I've only just begun to read this book but already I can tell there is a LOT of valuable information inside. 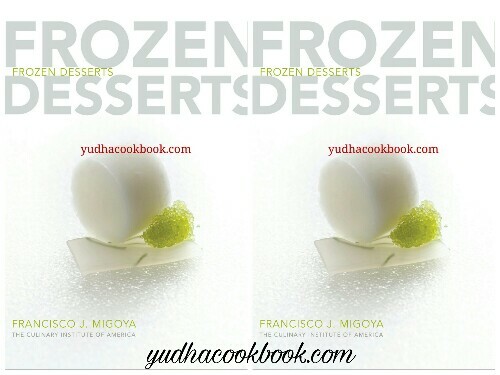 I've been making frozen desserts (mostly ice cream) for many years and I was hoping this book would add to what I already know. So far I have not been disappointed.